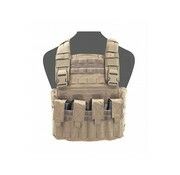 Warrior Assault Systems Gladiator Chest Rig (Coyote Tan). 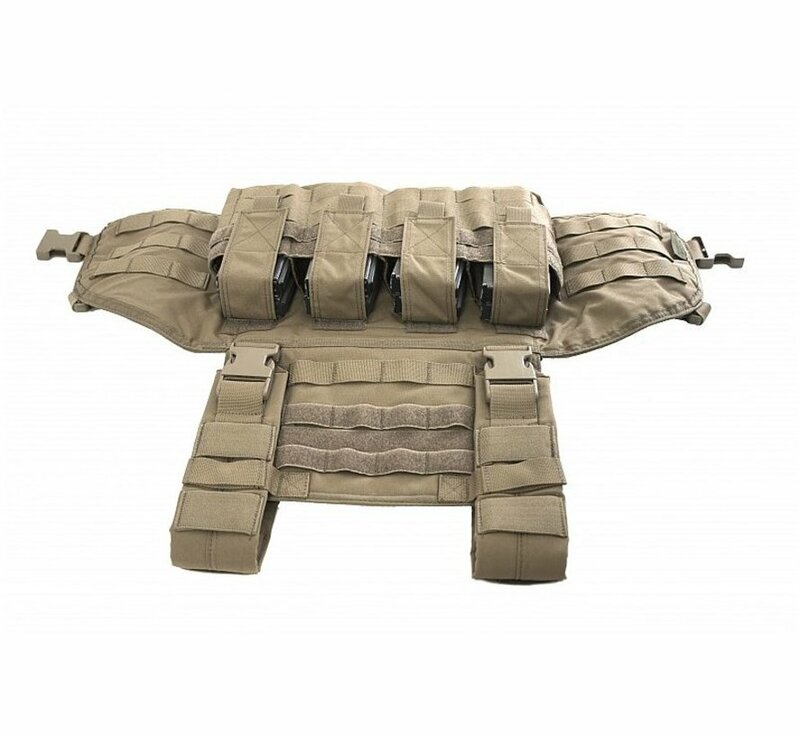 Warrior’s Elite Ops Gladiator Chest Rig is a versatile and multi-use platform that allows you to use it in conjunction with 10×12 body amour plates. 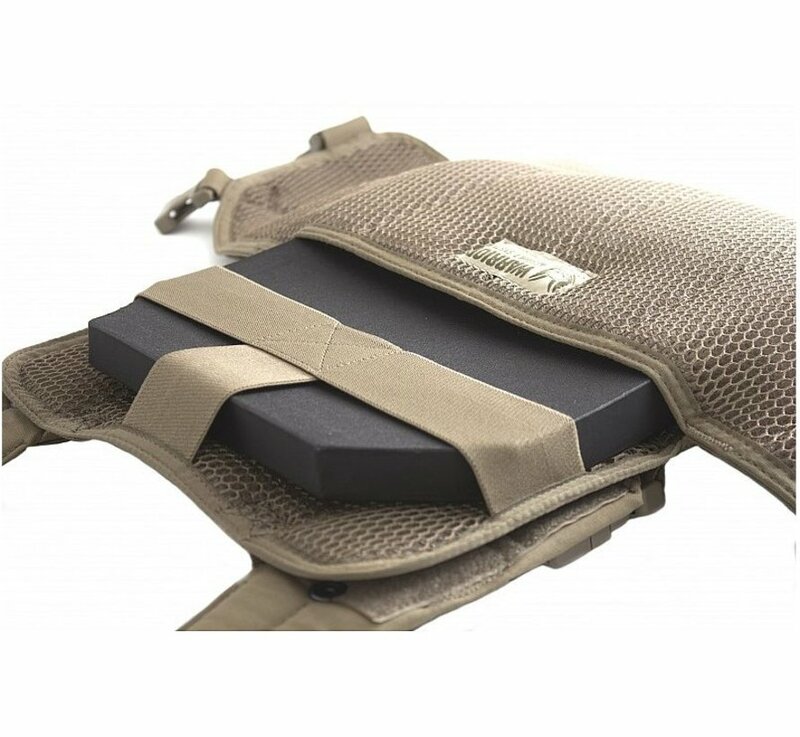 This system allows you to adjust the height of the plate to where you require the much needed protection. 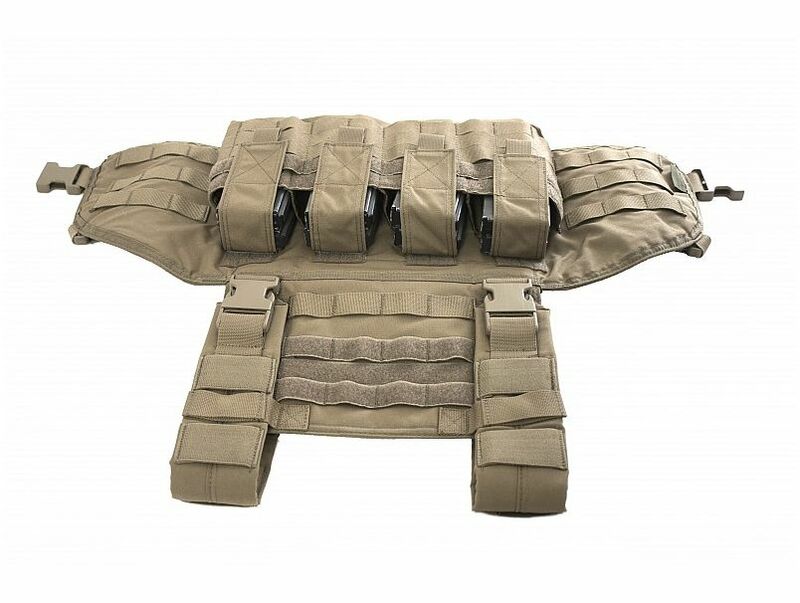 The gladiator Chest Rig is a fully adjustable system, allowing adjustments to be made on your shoulders and abdomen area. 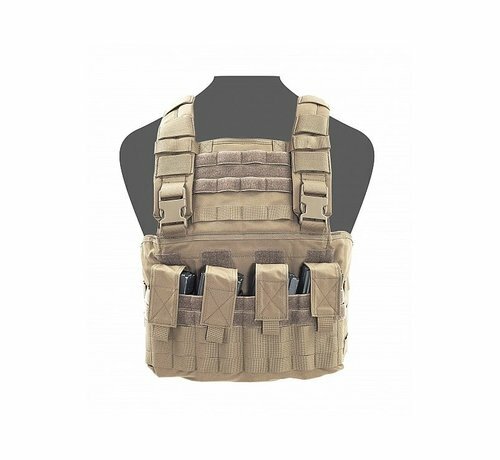 With the use of pull straps and ITW buckles/clips, the Gladiator Chest Rig can be easily adjusted to suit the needs of the operator. 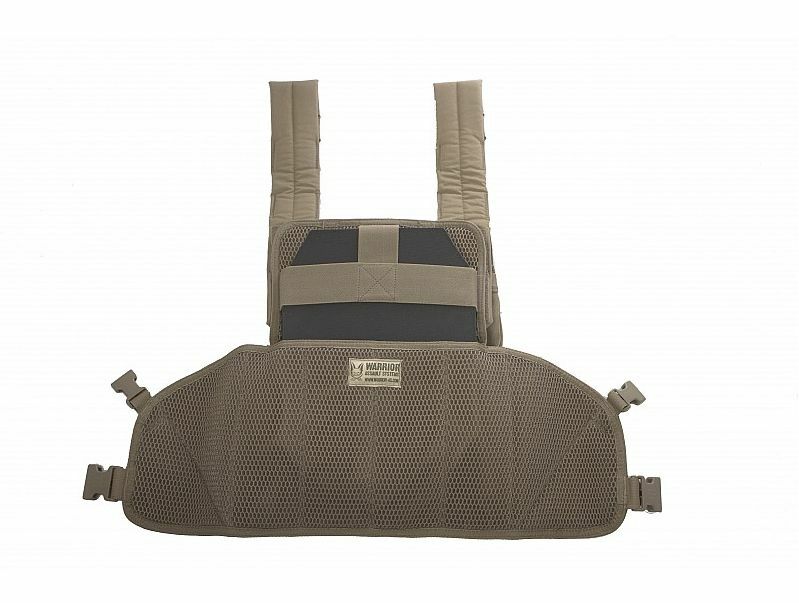 It also comes with a 3D mesh spacer to allow passage of cool air and comfort. 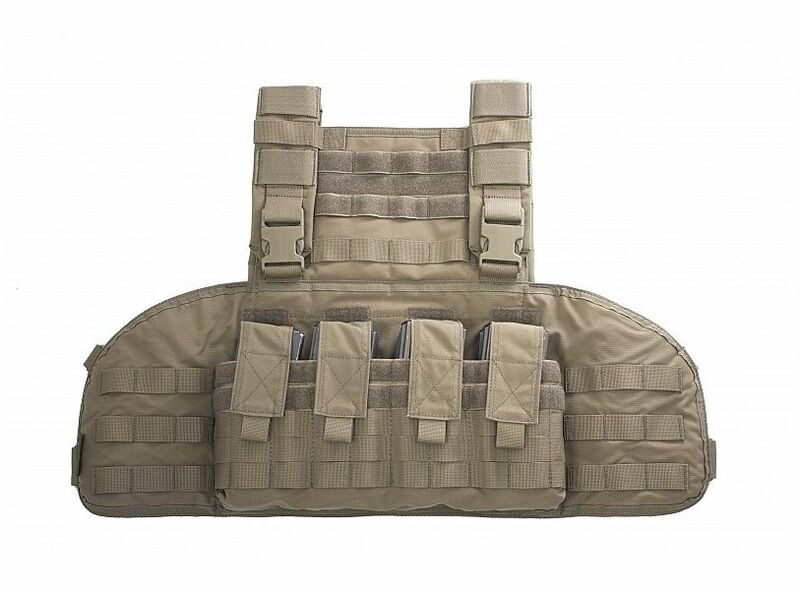 The upper section can be folded away to allow access to uniform pockets. 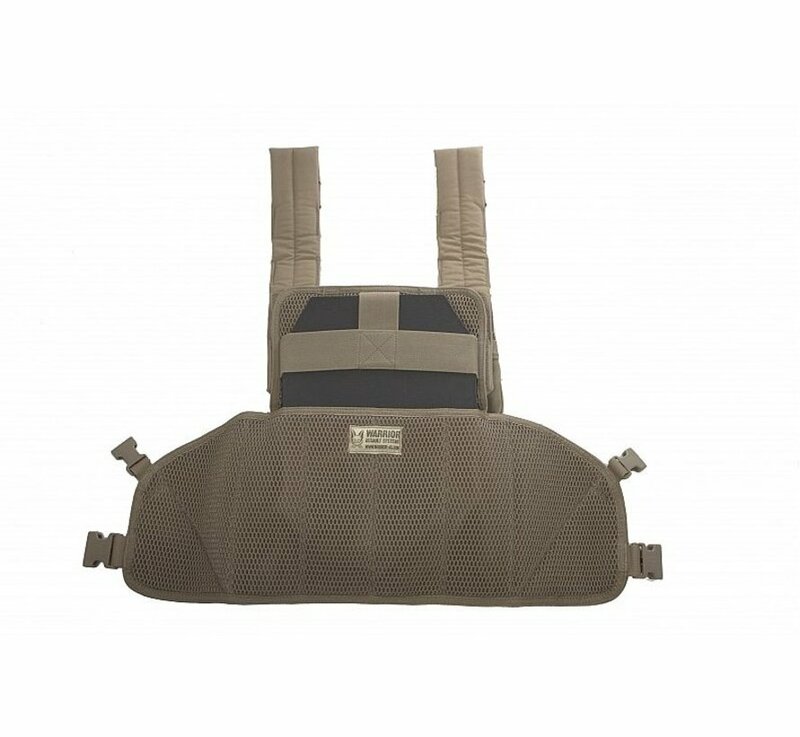 This foldable section gives you 4 vertical & 4 horizontal strips of MOLLE to allow the attachment of additional pouches such as a Large Admin pouch or Forward Opening Admin pouch. 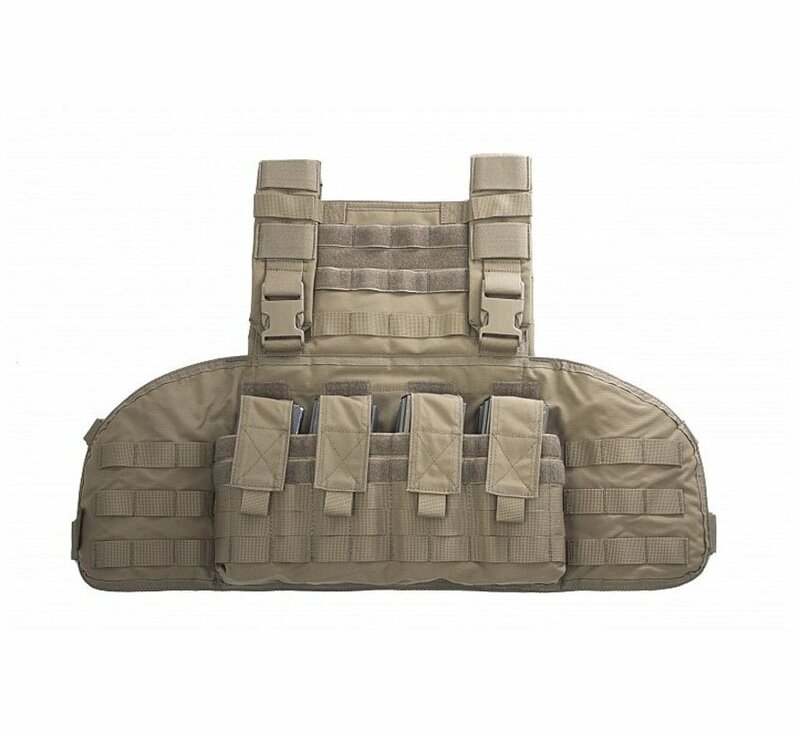 Elastic loops on the shoulder straps are designed to secure comm’s equipment or hydration tubes. 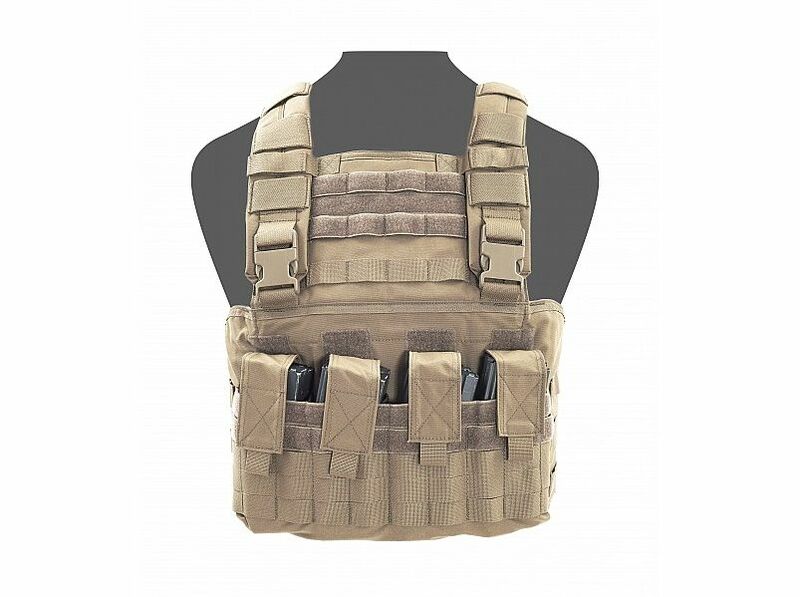 The Gladiator Chest Rig has 4 fixed, closed top magazine pouches, which allows you to carry 8 magazines. 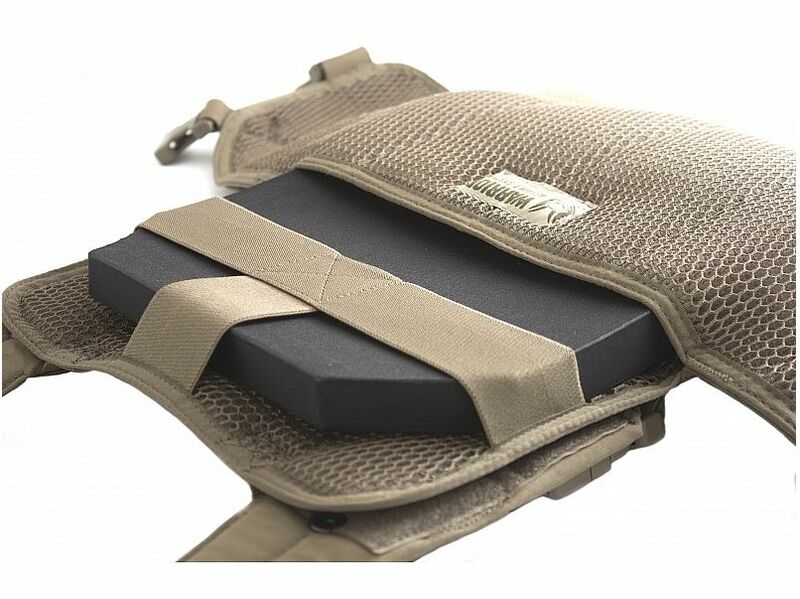 These magazine pouches are adjustable using the removable velcro straps. This modification allows the usage of both standard and non-standard 5.56mm/7.62mm (M4 and AK variant weapon systems). 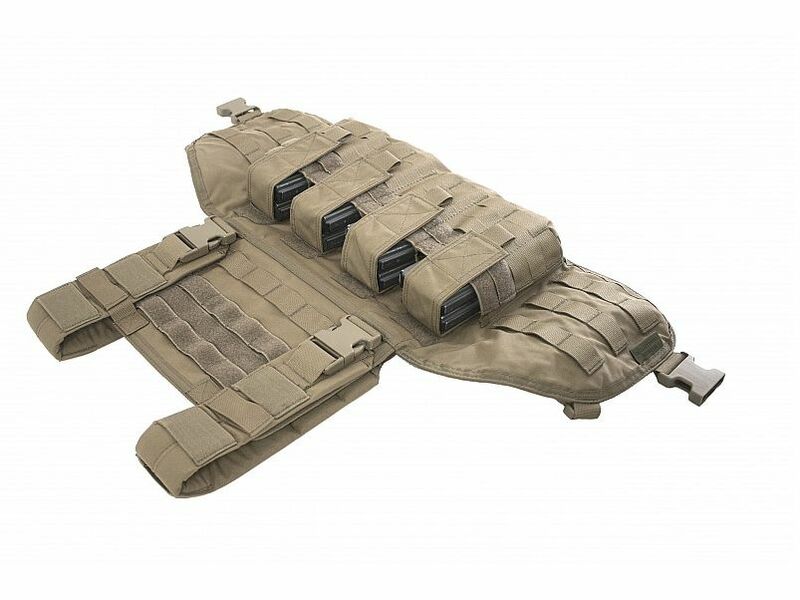 If required the ammunition pouches can be doubled up as a comms/radio pouch capable of fitting a PRC 145/152. The magazine compartment also has drainage holes to allow the release of water should the rig be submerged in water. 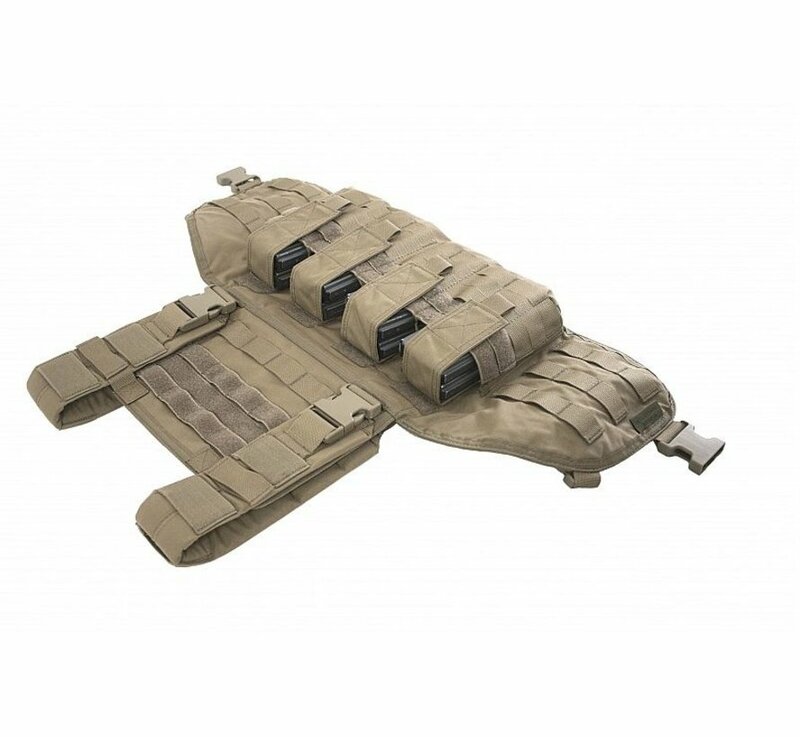 This rig also offers you two modular panels either side of the magazine pouches; both modular panels give you 3 vertical and 3 horizontal rows of MOLLE allowing you to attach additional pouches if needed. 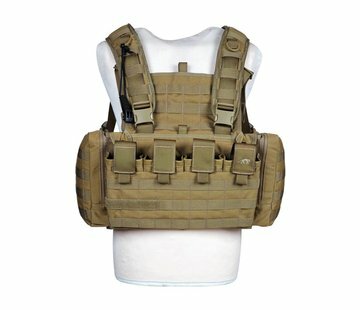 This rig is not compatible with the Warrior Assault Systems Back Panel.